For a minute here let’s assume that you’re planning a vacation very soon. For most people, the obvious choice is either a few days relaxing on the beach, sipping on coconuts and sunbathing and, for some of us it’s all about the mountains, fresh air, and greenery. There are plenty of other choices too, and a true lover of travel and exploration is always looking for new ways to spice their plans up. In recent times, adventure traveling has gained a lot of interest. 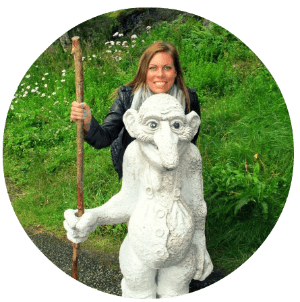 There have always been that bunch of adventure lovers all over the world that have explored its various offerings, but today that number has grown significantly, and even someone who doesn’t classify as an “enthusiast” wants to give it a shot at least. Thanks to the world becoming more and more accessible, it’s easier now for anyone to try out some new and exciting activity. And here, we’re going to talk about one such adventure sport that has become a real favorite for people all over the world: Whitewater rafting. Whitewater rafting isn’t a very well-known sport to beginners, at least in terms of how it works and how safe it really is for someone with no training. Can an absolute beginner get on a raft? Can they do it without a guide? Can families and young children enjoy rafting too? The answer is both a yes and a no. Rafting for beginners requires the presence of a professional guide who will be physically available to protect the riders, just in case there’s a mishap. Secondly, it also required a strict safety protocol to be followed. Families and young children of a certain age can surely enjoy rafting, as long as they have all the guidance required for them to be safe throughout their expedition. It’s an amazing experience to get away from the concrete jungle and get back in touch with the real one. Whitewater rafting is a truly marvelous experience in this sense because you’re bang in the middle of nature, sifting through rapids and tackling the great rivers, all while being surrounded by gorgeous landscapes and a canvas painted by nature itself. For example, if you choose to experience whitewater rafting in Colorado, you can be rest assured to view some of the best natural landscapes. If breathtaking views are your thing, you’ll love getting in a raft and enjoying the double benefit of adventure and scenery. We tend to end up having lifestyles that are less physically driven, either due to busy schedules or even just lethargy. Rafting is a great way to enjoy the adrenaline rush and thrill, and also put your physical strength to the test. Rafting is actually a great form of exercise and cardio, and many people enjoy the shift in lifestyle in the middle of nature. 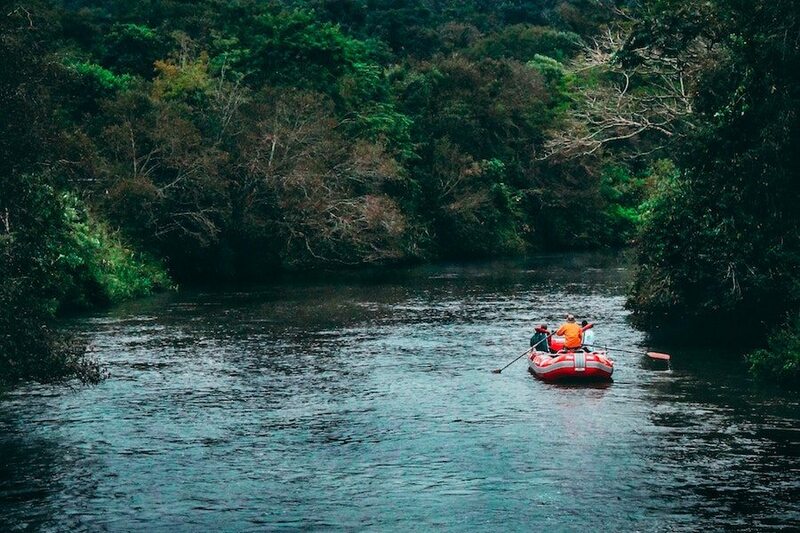 Moreover, if you’re up for it, you can always extend your rafting trip to include more activities, as we’re going to highlight in our next point. 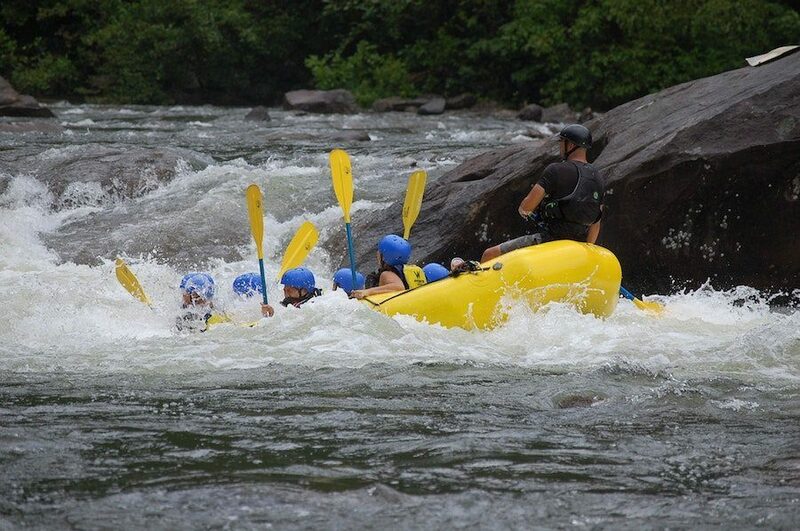 A rafting trip can include so many more interesting and fun outdoor activities. For example, you could go biking in the near mountain trails, or simply trek up a hill to come to a magnificent view. You can also go wildlife viewing and take some brilliant photographs, or simply set up a campfire and revel in a few days of camping in the wilderness. Many outfitters will give you the option to add these to your trip package, and it’s a great way to spice up your holiday too. Why do family holidays have to be just about swimming pools and fancy hotels? With so many options available, going for an offbeat and exciting family adventure can truly strengthen the bond between your loved ones and also give you the opportunity to experience something unique with them. The rafting outfitter you choose will ensure that you go rafting through safer rapids (explained further on) and your whole troupe can have an amazing time. So if you’re looking for the right kind of trip to enjoy a family union and much-needed bonding time, the rapids are a great option! Rafting isn’t something that everyone just knows how to do – it’s a fresh skill that you can add to your list of skills. It’s actually a pretty neat skill too, and if you take much interest in it, you can continue to make short rafting trips throughout the year and get trained enough to take on the night rapids. People who love water and nature often find rafting and other similar adventure sports to be a great way to quench that interest. 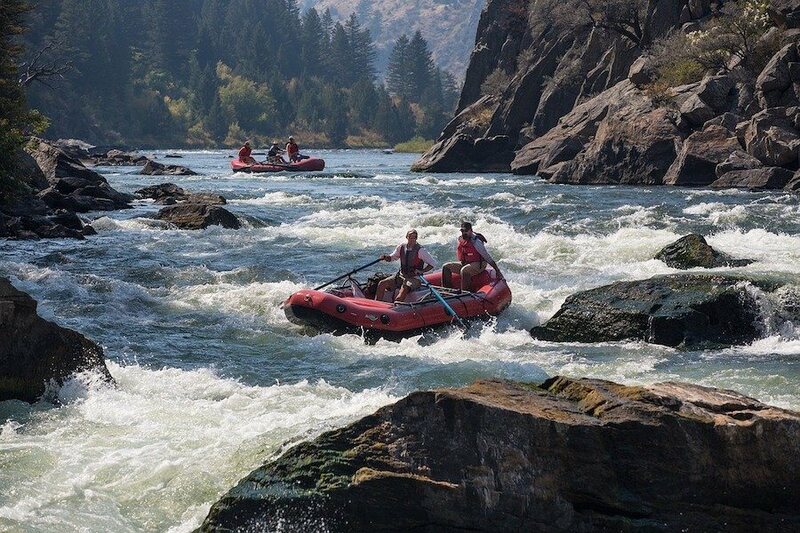 The best possible way for beginners to make the most of rafting, without having to worry about safety is by employing a professional rafting outfitter and taking all the guidance provided by them. Rafting requires you to be in direct contact with the many forces of nature, which is one of the wonderful reasons why you should opt for it in the first place. So, keeping the sudden change of environment in mind, you definitely need to pack right. Sunscreen, protective gear, appropriate clothes, and so on are a must have in your baggage. Not sure what type of clothes to carry? You can always contact your outfitter and ask for details, or even look it up online. The goal is to protect your skin from any damage and also be prepared for bruises. However, do remember to soak in all the sunlight and enjoy the fresh air while you’re at it. For a rafting trip, you cannot be too liberal about the kind of clothes you wear, because you need to protect yourself from getting hurt or harmed physically. Even food and beverages have certain restrictions on a trip like this. Certain spots for rafting already have food arrangements that you can book along with the rest of your trip, while others have rules about what you can and cannot carry or consume while you’re there. When you’ve packed right and got all your gear and accessories in place, you’re already 50% ready to get into the waters and start rafting! – By keeping the feet firmly tucked under the air tube that is present in front of you, or even if the foothold provided in the raft for the people sitting in front. The key is to plant it there halfway through and not completely so that you don’t end up trapping your feet in there. – By sitting on the outer border or rim of the boat at all times, unless there’s a point during the journey when you need to duck or bend, as instructed by your guide. – By having a proper grip on your paddles. This actually helps with greatly improving your balance inside the boat, and also allows you to tackle harsh waves and stop you from falling into the water. 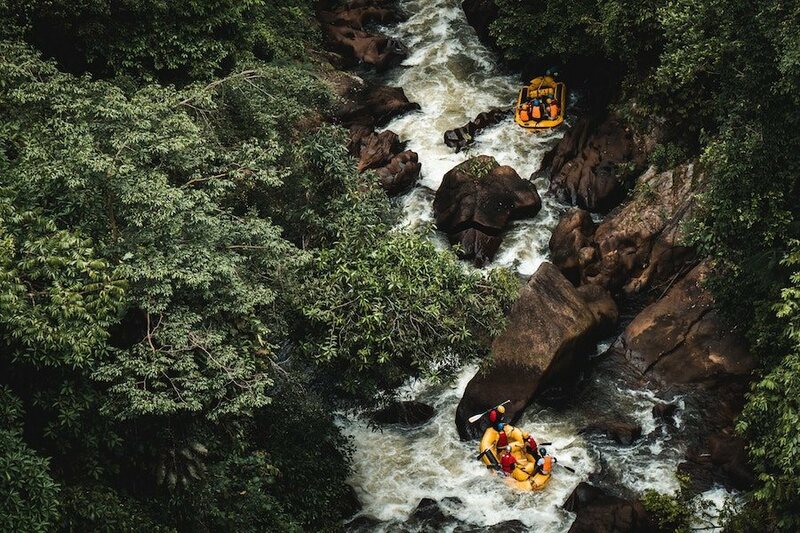 Now, when we mentioned earlier that rafting is an experience for everyone, we were referring to the classification of rapids in rivers, amongst other things. Rivers have levels, with each level classifying a different difficulty level that you will be tackling. The lower the class of the rapid, the lesser the difficulty. Needless to say, beginners need to opt for lower classes, until they’ve become more well-versed with whitewater rafting and up the ante later on. Class 1 – this is the basic class, and even children can raft through these waters. These don’t usually go up too high or close to mountains and gorges, and the water the flatted and more easy to maneuver, with a few waves and riffles. Class 2 – great for beginners groups or families, this is just a little more different than class 1 rapids, but still quite manageable with the help of a guide onboard. It is, however, essential for the riders to know how to swim and paddle. Class 3 – scouting the waters and taking some training in paddling techniques would help deal with this class of rapids not advisable for kids or people who cannot swim, but very much doable for those who are physically strong and can handle themselves if they fall over. Class 4 – an absolute no-no for non-swimmers and a lot more scouting is required. 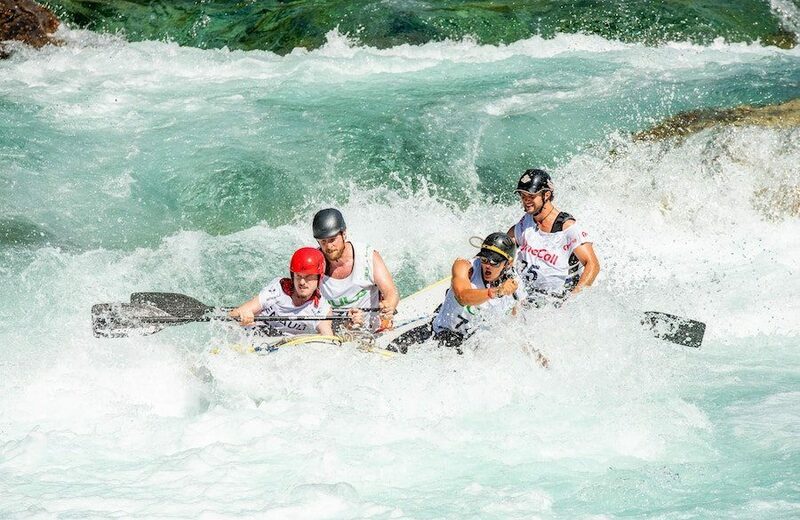 These rapids get challenging at different stages and are more unpredictable than the previous classes. First-time rafters should avoid this class until they have more experience. Class 5 and 6 – only expert rafters can safely move through this class because the rapids are harsh, the waves are massive, and the danger level is also quite high. Professional rafters can deal with this class but, if you’re a beginner or even a novice, steer clear of this class. When you’re rafting as a group, it’s important to paddle together rather than to paddle harder. Your outfitter is going to advise you the same as well because having any discord in the rhythm of paddling can prove to be troublesome for you. As long as your flow of paddling as a group is synchronized, there are lesser chances of anyone onboard losing balance. There’s no set rule that you have to plan your rafting trip in a certain way. A rafting trip is very much customizable, based on what you’re looking to take away from experience. A day trip restricts how much you can see or do, due to the shorter period of time, but a trip 2-4 days gives you a lot more room to explore what else is out there. Once you’ve chosen the spot where you want to go whitewater rafting, there’s a lot that you can see even when you’re not in the waters. Right from going wildlife watching to camping in the woods or a designated camping site, you can try it all. In fact, most rafting outfitters will give you the opportunity to customize your trip and add on more elements to it than just rafting. When you go with a group or your family, it’s always nice to take a few extra days off and explore the wild. If also gives you the chance to get closer to nature and away from the drab city life. Camping under the stars and enjoying a barbecue dinner by the bonfire is truly an experience you shouldn’t miss out on. Whom you choose as your outfitter can really define the kind of experience you have. When we say right outfitter, we mean one that you are comfortable with, can answer all your queries, will book the perfect custom package for you, give you value for your money and of course, make you want to book with them again. There are many professional companies all over the country that provide these services, but it’s your duty to do some research, compare your alternatives and pick the most suitable one. Another great way to pick an outfitter is to ask friends or acquaintances who’ve rafted before to give recommendations. With the right outfitter guiding you, you can be assured of an amazing trip! Whitewater rafting can be a memorable experience for anyone, whether you’re an expert or just a curious beginner. As long as you have the passion and enthusiasm to try it out, you’re very likely to have a magnificent time on the rivers. So, choose your spot, book your package and get going on a new adventure! 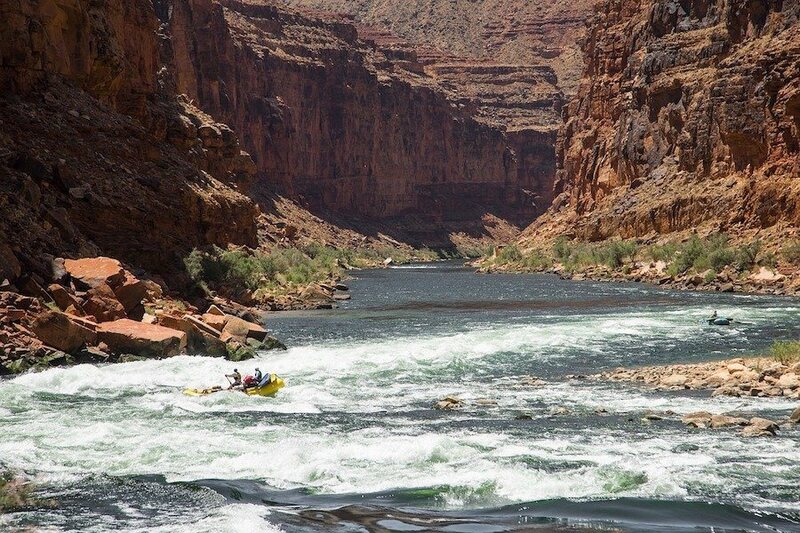 Chances are you’ll love rafting enough to explore the sport in various spots all over the country.